Stunning beaches. Rolling downs. Picture-perfect villages. Dramatic coastline. The home to some of the UK’s best beaches, wildlife and views. Gower was declared the UK’s first designated area of outstanding natural beauty in 1956. Today, the area is still every bit as picturesque and remains firmly on the map as one of the most naturally stunning places in Britain. Gower's scenery ranges from the rolling fields and salt marshes in the north, to the dramatic cliffs and expansive beaches along the south coast. Inland, the hills of Cefn Bryn and Rhossili Down dominate the landscape of traditional green fields, valleys and open commons. Gower's most famous beach, Rhossili Bay, is considered Britain's Best Beach, third best in Europe and ninth-best in the world (TripAdvisor's Travellers' Choice). Hidden seductively within 24 acres of enchanting countryside. Grounds so impressive that they’re listed. At the heart of country life for over 300 years. Based in the picturesque village of Reynoldston on North Gower. Cosy country pubs on the doorstep and breathtaking natural surroundings. Gower is fast becoming one of the most popular places to visit in the UK for a holiday or a wedding. A picturesque setting. Cosy country pubs. Award-winning restaurants, ourselves included. Stunning beaches. 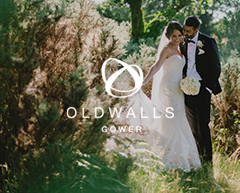 Gower embodies the best of Wales and we’re proud to operate at the heart of this magical place.